The choice of train control technologies will be limited to solutions that have been successfully demonstrated at high speeds for a period of at least 5 years, to minimize implementation risk and enable a strong safety case to be made to the FRA. 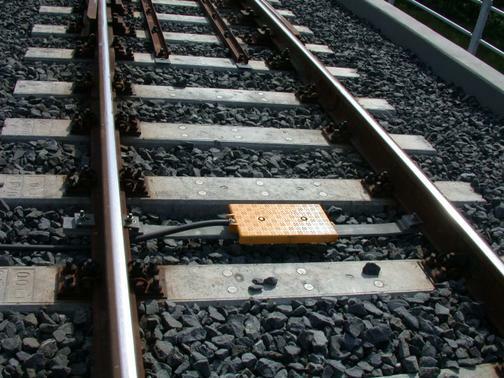 Other alternatives to ERTMS are not technically compliant, not compliant with the project requirements, or present too much risk to implementation. ETCS level 1 is designed as an add-on to or as an overlay on a conventional line already equipped with wayside signals, and possibly as a fallback solution from ETCS level 2. Communication from the track to the train is ensured by dedicated balises located on the trackside adjacent to the wayside signals at required intervals, and connected to the nearby interlocking and/or wayside signals.. The balises have a data connection to the ATC equipment which provides movement authorities for transfer to the train. Receiving the movement authority through balises, the ETCS onboard equipment automatically calculates and indicates to the train engineer maximum permitted speeds of the train and the next braking points if needed, taking into account the train braking characteristics and the track description data. This information is displayed to the train engineer through a dedicated screen in the cabin. The speed of the train is continuously supervised by the ETCS onboard equipment. This is of course precisely the same thing as CBOSS, which Caltrain and their vendor Parsons Transportation Group are now kludging together for us for a hefty wheel-reinvention fee. We've already seen Caltrain work with FRA bureaucrats to avoid re-inventing a double-deck EMU train. Why can't they also work with CHSRA, FRA and FCC bureaucrats to avoid re-inventing a train control system? The CHSRA is already putting together a plan for scaling the regulatory mountain, with more detail on radio frequency spectrum acquisition provided in TM 300.03 EMT Radio Frequency (RF) Spectrum Acquisition Strategy. It's no longer just a blogger saying it (bloggers don't know what they're talking about): the high-speed rail project is now firmly on the record as preferring ERTMS as the sole solution, and is already working with government and private entities to obtain the necessary radio spectrum to deploy GSM-R in California. ERTMS is the best solution for the peninsula, because it would allow high-speed trains to use Caltrain tracks with no special equipment or modifications. As a side benefit, it would also allow Caltrain to meet their PTC requirement at minimal cost and risk. ERTMS is coming. Your move, Caltrain. Until Hell Freezes Over. Under the phased implementation plan described in the Business Plan, the peninsula rail corridor might not get improved until the late 2020's, so any hope that Caltrain had to get HSR money for capital projects, blended or not, is pretty much on hold for a long, long time. A solid plan B will be required for Caltrain, without relying on the HSR tooth fairy. Three Things: Concrete, Concrete, and Concrete. The most significant cost increases, on the peninsula and statewide, are due to a breathtaking increase in the scope of concrete-pouring. The $13.6 billion peninsula figure includes $3.9 billion for viaducts, $3.1 billion for tunnels, about $2 billion for buildings and stations, and nearly a billion for earthwork and retaining walls (the dreaded berms). Oh, and by the way, the business plan was prepared based on cost estimates from civil engineering firms, firms that get to define the scope of the project on which they may later bid. Atherton Real Estate is Cheap. The feared eminent domain battles for whatever corridor expansion might be planned barely show up in the bottom line, with a mere $830 million or six percent of the peninsula budget allocated to Right of Way acquisition. $2.3 billion (2010$) of additional viaduct construction expenses, "associated with staged construction, loss of efficiency, and allowance for force account and premium pay - all to account for continuous support of rail operations in the corridor." $1.9 billion (2010$) for a single-track tunnel to squeeze four tracks through Millbrae between neighborhoods, planned developments, and BART, in an area where "soils are very poor"-- a tunnel that would have no reason to be built without Caltrain. The cost of this tunnel was previously decried at $0.5 billion, but this is something else entirely: the single-track tunnel, built in the same "very poor" soils as the triple-track Millbrae BART tunnel, would cost significantly more than the entire BART to SFO extension project. $0.75 billion (2010$) to build a duplicate set of tunnels along the Bayshore Cutoff into San Francisco-- multiple tunnels that would have even less reason to be built without Caltrain. You can see the planets slowly starting to line up: in due course, somebody, somewhere is bound to point out, in the upcoming "Value Engineering" phase, that a $5+ billion premium to keep Caltrain operating is far more expensive than simply extending BART down the peninsula from Millbrae to Santa Clara to ring the Bay. That a peninsula BART extension would be suggested as a cost-saving measure is flabbergasting indeed, but this Business Plan fairly well guarantees it.